In the last post I published, I admitted I didn't play too many games in 2015 that actually were released between Jan. 1 and Dec. 31 of that year. I did, however, play quite a few games that were released before 2015. Here are some words about the ones I enjoyed the most. 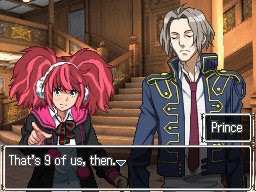 999 (DS)--Everyone seems to love this Chunsoft-crafted visual novel. So why did it take me so long to play more than a couple of hours of it (I've owned a copy for years now)? I wish I could tell you. What I can tell you is I'm thrilled I broke through that self-imposed barrier earlier this year. This time around, not only did I finally get past 999's opening chapter, but I finished each and every one of them--multiple times over. In fact, I eventually encountered all of this tense title's many endings and devoted more than 20 hours to doing so. Hopefully I'll find Virtue's Last Reward, the Vita version of which I just acquired, just as compelling. Alien Syndrome (Game Gear)--I turned up my nose at this arcade port for years due to what I considered (at the time) to be its subpar visuals. Truth be told, I also wasn't all that interested in its seemingly brainless gameplay. For whatever reason, I put those initially negative (not to mention ill-informed) impressions behind me and gave this iteration of Alien Syndrome another shot a month or so ago and ended up having a blast. I'm still not a big fan of its boss battles, which are more than a bit claustrophobic on the Game Gear's tiny screen, but the rest of it this creepy run-and-gunner's content is surprisingly enjoyable when you give it a chance. 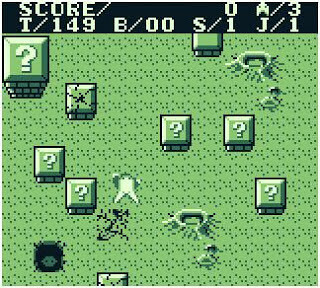 Astro Rabby (GameBoy)--Here's another old title that rubbed me the wrong way the first few times I booted it up. Once I wrapped my head around its gameplay, though, I really dug it. 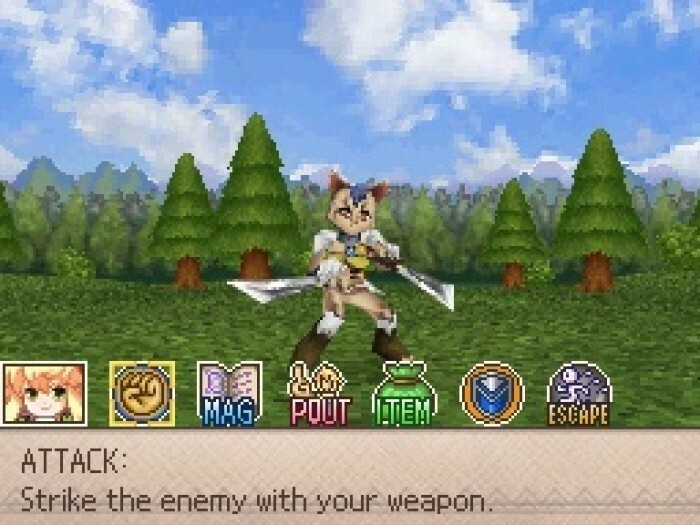 Sure, the bonus stages that pop up now and then are beyond aggravating, but they're easily ignored after you come to terms with the fact that you'll never, ever "beat" one of them. Also, the rest of what Astro Rabby--which aesthetically, at least, brings to mind that old PlayStation launch release, Jumping Flash!--has to offer is such a rush that they're quickly erased from memory. 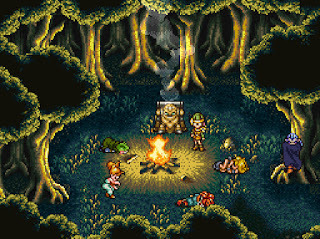 Chrono Trigger (DS)--Stop me if you've heard me tell this story before: my big brother and I bought a copy of this groundbreaking RPG back when it first hit store shelves in our neck of the woods. Despite my love for the company-previously-known-as-Squaresoft and pretty much every game it pushed onto the market during the 16-bit and 32-bit eras, I never played through the SNES version of Chrono Trigger myself. (I did watch my brother play through a good portion of it--not that I can remember much of the experience now.) So, what do I think of this enhanced DS re-release after putting nearly six hours into it? I absolutely love it. The soundtrack is, as expected, a revelation, and the time-traveling story and relaxed Final Fantasy-esque battles are similarly first-rate. Contact (DS)--There's no question in my mind that Grasshopper Manufacture's Contact is a flawed product. 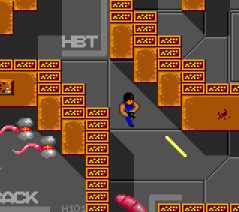 Were its flaws enough to make me dislike this dual-screened adventure. Obviously not--I decided to include in it this "favorite games of 2015" post, after all. Why? 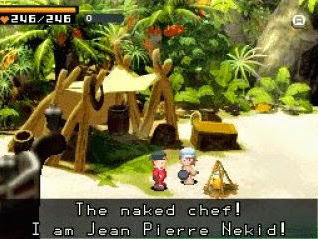 The retro-inspired graphics play an important role, of course, but so do the eclectic soundtrack and enigmatic story. If you'd like to read more of my thoughts on the game, by the way, you can do so here. Hotel Dusk (DS)--As should be evident from five of the titles spotlighted in this post, my #ADecadeofDS series prompted me to play a bunch of top-shelf DS games in 2015. This Cing-developed point-and-click adventure is but one of them. From the chill backing tracks, to the gripping story, to the eye-popping rotoscoped graphics, almost every aspect of Hotel Dusk conspired to keep a smile plastered to my face throughout my 17-plus-hour stint with it. My World, My Way (DS)--I never would've even considered playing this Atlus-published (in North America) RPG if my podcast-mate, Mollie, hadn't suggested it during an episode of The Nichiest Podcast Ever. That's a shame, as My World, My Way approaches that increasingly tired genre from a wonderfully fresh perspective. (For more on how it accomplishes that feat, read my #ADecadeofDS write-up about it.) The game's schtick gets kind of repetitive after eight or 10 hours, it has to be said, but even that wasn't enough to tarnish its appeal in my eyes.